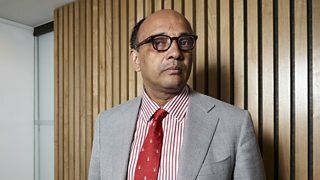 Journalist Sonia Sodha reflects on the third 2016 BBC Reith Lecture in which the philosopher, Kwame Anthony Appiah explores the origins of the way we think about race. Appiah starts his lecture with the story of a five-year-old African boy from Ghana, who in 1707 travelled thousands of miles across continents to join the household of a European duke at the centre of the continent’s enlightenment movement. Amo, as he came to be known, was given the same education as the Duke’s own sons, went on to get a PhD, and later became an eminent academic. But the 19th-century notion of “racial essence” – the idea that there is something biological we inherit as a result of our race, and that this determines many key human characteristics such as intelligence or personality – hadn’t yet taken root. Appiah argues this is perhaps why Amo was able to do the things he did. The idea of racial essence really came to the fore following Amo’s death, after the peak of the international slave trade in the mid-18th century, when hundreds of thousands of African slaves were transported in appalling conditions from Africa to the New World. Appiah argues that people involved in the slave trade needed a justification for the terrible things they were doing. And the emerging science of the time provided it – in the form of the developing theory of racial essence. It is, of course, a theory that today would be considered deeply racist. 20th-century science has definitely disproved the idea that race determines what type of people we are. As Appiah sets out, we share the vast majority of our genetic material with all human beings, regardless of race. Almost all the variations that might help to shape things like intelligence and character traits are found within racial groups, not between them. Yet if the idea of racial essence has been so rubbished by science, why is the concept of race – and modern forms of racism – still so important in shaping societies today? Race remains one of the most important dividing lines in a country like the United States. Clashes between the police and Black Lives Matter protesters in Philadelphia, USA. Like many others who write about race in the modern day, Appiah highlights how race may not be a biological concept, but that it has become a socially-constructed idea. Through the international slave trade, racial segregation and the civil rights movement, race has shaped the United States into the country it is today. But the fact that we have definitive scientific proof that the idea of racial essence is rubbish doesn’t mean the influence of race on American society can be magicked away. African Americans continue to suffer significant discrimination in the United States. For example, young black men are 21 times more likely to be shot and killed by the police than young white men. In his lecture, Appiah argues that ideally we’d all be living in a post-racial society – a place where we drop the idea of race altogether. He recognises that this will be impossible, though, in societies where race has been used as the basis of oppression, and people are still experiencing its impacts. People who have been oppressed – like African Americans in the United States – need to galvanise around their racial identity in challenging that oppression. Once race has been used as the basis of oppression, it cannot but linger as a dividing line while the impacts of that oppression are still being felt. But of course that doesn’t stop us challenging the dangerous idea of racial essence wherever we find it. The issue is, though, that racial prejudice is rarely rational. In fact, there has been a great deal of research showing that nearly all of us harbour implicit or subconscious biases. Even while our conscious selves may be horrified at the idea of being sexist or racist, too often subconscious biases creep through in decisions like who to hire or promote in the workplace. This implies that even if we had a society where absolutely everyone consciously rejected racist views, you would still see minorities discriminated against unless we find a way of switching off this human tendency towards subconscious bias. Modern societies are a long way from eliminating both conscious and subconscious racism. Which means Appiah’s dream of a post-racial society remains a distant prospect. Kwame Anthony Appiah argues for a world free of racial fixations.